This course will enable the student to perform safely and competently the intravenous fluid therapy activities as defined in the Montana Nurse Practice Act. The course is based on the nursing process and current intravenous nursing standards of practice. 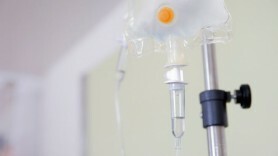 Basic Guidelines include: legal aspects of IV system, fluid & electrolyte balance, procedure for venipuncture, prevention & assessment of complications, principles of pharmacology as related to IV therapy, and demonstration & practice of required skills. Institutional follow up-supervision of IV initiation consistent with orientation and continuing education policies and protocols of each individual institution.